We are thrilled to announce we have in stock Lagoon by Rashida Coleman Hale for Cotton and Steel! 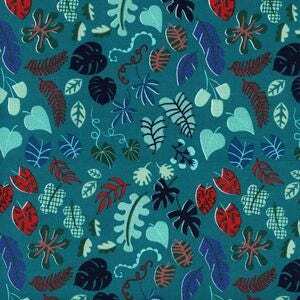 This is for a fat quarter of Leafy Wonder in Teal. If you order more than one, continuous yardage will be cut. (If you order 2, a half-metre will be cut).